I was introduced to Enchant via their previous effort, "Blink Of An Eye," which was released in 2002. While reviewing "Blink Of An Eye," I learned that my impression of the band shouldn't have been determined by reading other critiques of the band's musical output. While I enjoyed "Blink Of An Eye" I can’t say that I was extremely interested in hearing more from the band. However, after only a year, Enchant have quickly forged ahead with more material in the form of "Tug Of War" and I find myself responsible for reviewing it for the benefit of Rough Edge readers. "Tug Of War" represents a less metallic, yet more fully realized version of the band. Some of the crunch and prog-rock tendencies have been reigned in while letting the band's songwriting abilities shine through even more. Not one track leaps forward for singling out for praise, but neither do any of the tracks sound like clunkers either. If all of what I've written sounds like indifference it's not -- "Tug Of War" is a pleasing if deceptively unspectacular effort. "Tug Of War" is easy to listen to, but not quite as fully engaging as I expect my favorite music to be. "Tug Of War" is not a dramatic departure from "Blink Of An Eye." Enchant still occupy the middle ground between Spock's Beard and Dream Theater -- and that can still be considered a good thing. The overall impact is that "Tug Of War" is more immediate in appeal, but not necessarily more memorable in the long run. However, with all that said, "Tug Of War" is a solid effort and I am looking forward to hearing more of Enchant's music in the future. "Tug Of War" was produced by Doug Ott. Enchant: Ted Leonard on vocals, Doug Ott on guitars, Ed Platt on bass, Bill Jenkins on keyboards, and Sean Flanegan on drums. For more information visit http://www.theoasis.cc. Most of the reviews that I'd seen of Enchant's prior work were fairly disparaging. 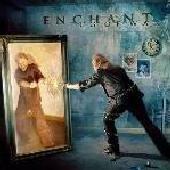 Enchant got knocked for being too much like Styx or Marillion mixed in with progressive rock. In other words, according to many progressive music connoisseurs, Enchant couldn't please fans of either genre. To that I say "so what?" After listening to "Blink Of An Eye" it seems appropriate for me to say that Enchant occupy the happy medium between mellow prog-rockers like The Flower Kings, Magellan, and Spock's Beard and the harder and more progressive-metal bands like Dream Theater and Dali's Dilemma. And that's not a bad thing. As I understand it, "Blink Of An Eye" features the most straight-forward material of the band's career. "Blink Of An Eye" still sounds fairly progressive to me. The arrangements of the guitars, keyboards, bass, and drums are anything but simplistic. While not overly busy, Enchant's musical ruminations shift, ebb and flow, and generally fit the songs' moods in appropriate fashion. Enchant display a staggering range of technical skills in the overall delivery of the nine tracks on "Blink Of An Eye." But "Blink Of An Eye" isn’t just about technical skills. Each of the nine tracks has a strong and instantly memorable melody. That goes a long way to making "Blink Of An Eye" a better-than-average disc. Of course, each repeated listen will reveal passages that will remind the listener of bands like Queensryche, Mastermind, Dream Theater, Saga, Yes, and Kansas. But I've found that influences are hardest to escape in the progressive genres. Basically I'll chalk that up to being truly inspired by the great artists that have come in the years past. Enchant and their fans (old and new alike) should not be bothered by such observations as the band is certainly confident and self-assured in their style. I will admit the lyrics are a bit simplistic, but somehow manage to paint vivid pictures that mesh well with the music. Vocalist Ted Leonard has impressive range and generally tends to over-sing, but nowhere as much as other music critics would lead you to believe. These are minor problems in my opinion, but too obvious not to point out. Overall, "Blink Of An Eye" is pleasing to listen to and certainly not deserving of all the negative press that I’ve seen. 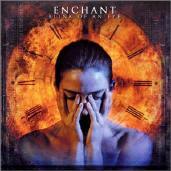 If Enchant haven't been playing prog-rock festivals they should think about it very soon. "Blink Of An Eye" was produced and recorded by Doug Ott. "Blink Of An Eye" is characterized by great sound and high production values – always a plus when listening to music (in my opinion). Enchant is Ted Leonard on vocals, Doug Ott on guitars and keyboards, Ed Platt on bass, and Sean Flanegan on drums. For more information visit http://www.theoasis.cc/.